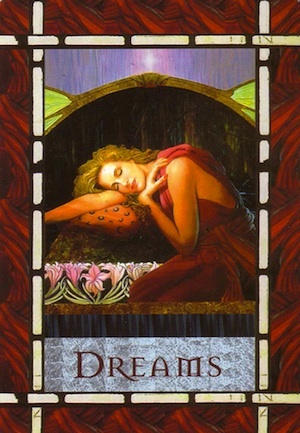 Card Meaning: Pay attention to your dreams right now. Keep a dream journal. You are receiving important messages during your dreams. Sometimes you may wake up with the feeling that you have traveled or received instruction during your sleep. You wonder, Why can’t I remember my dreams? The messages and experiences of your dreams are never truly lost or forgotten. They are, instead, incorporated into your unconscious so that your higher self’s wisdom and love govern your actions. You can more easily remember your dreams by writing whatever you recall immediately upon awakening. Just write any little bit you can remember, and the rest of the dream will unravel in your memory. Review your dream journal often, and look for patterns and themes. 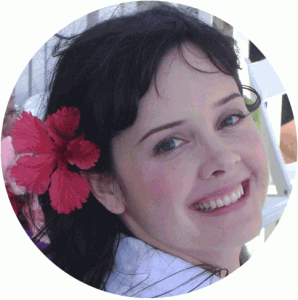 These recurrent dream issues signify messages that your higher self and the angels are trying to tell you.